Visitors to the London Stock Exchange's Web site were hit with malicious ads over the weekend, designed to pop up fake security messages on their computers. The culprit was an online advertisement that was somehow placed on the Unanimis ad network, which is used by the the Web site, a London Stock Exchange spokeswoman said Monday. "We had an advert on the site that linked through to a third-party website that was hosting this malware," she said. She did not know how many people had been served the malicious ad. The Stock Exchange's Web site itself was not compromised, and the ad was removed as soon as it was discovered on Sunday, she said. Nevertheless, visitors to the site early Monday were greeted with browser warnings saying that londonstockexchange.com had been reported as an attack page. The warnings showed up in the Firefox, Chrome and Safari browsers, but were removed later in the day. "The malware was a classic spoof antivirus program which used a software vulnerability to download and install native executable code," said Paul Mutton, a researcher with Web analytics firm Netcraft, who reported the issue on his personal blog. 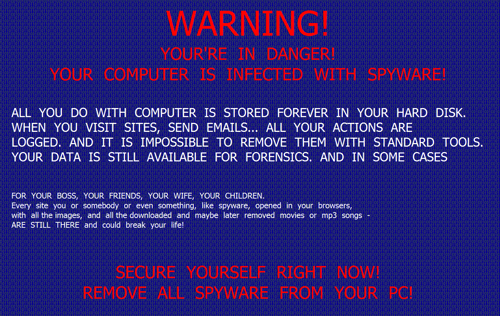 The malware pops up a message on the victim's computer that reads "Warning! You're in danger! Your computer is infected with spyware." This is a common type of malicious program, called "rogue antivirus," which is designed to trick the user into paying for useless antivirus software. Typically the victim ends up handing money over to the scammers, but the malicious software doesn't really go away. In an online chat, Mutton said he did not know what bug the hackers used to install their malware. He also said he couldn't discuss the incident further. In a brief statement, Unanimis said it had found malware "which affected some advertisements on our network." Unanimis is owned by European telecommunications giant Orange France Telecom Group. Security experts say that criminals have become adept at sneaking onto online ad networks in recent years. In December, Google's ad network was hit with a similar type of malware. That attack lasted for about five days, according to security vendor Armorize.